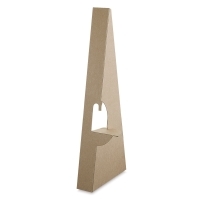 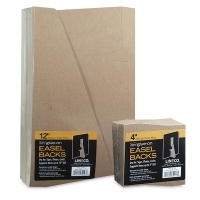 These easel backs are made of 40 pt tan pressboard, sharply die-cut. 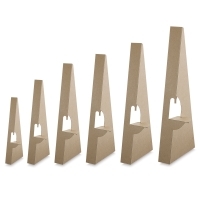 They lock tightly when open, and fold flat when closed. 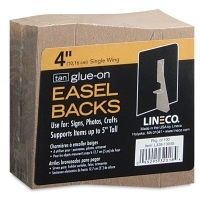 Use tape or glue to attach Lineco Easel Backs to the backs of signs, mounted prints, and posters. 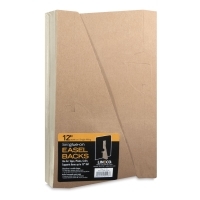 Choose packs of 100 in a variety of popular sizes.